I’ve been house hunting lately and attempting to start packing (read: procrastinating and putting something into a box every couple of hours. Oy! ), so it has been mildly cray-cray around here. But, I’ve also gotten a few things done and treated myself a lil bit. 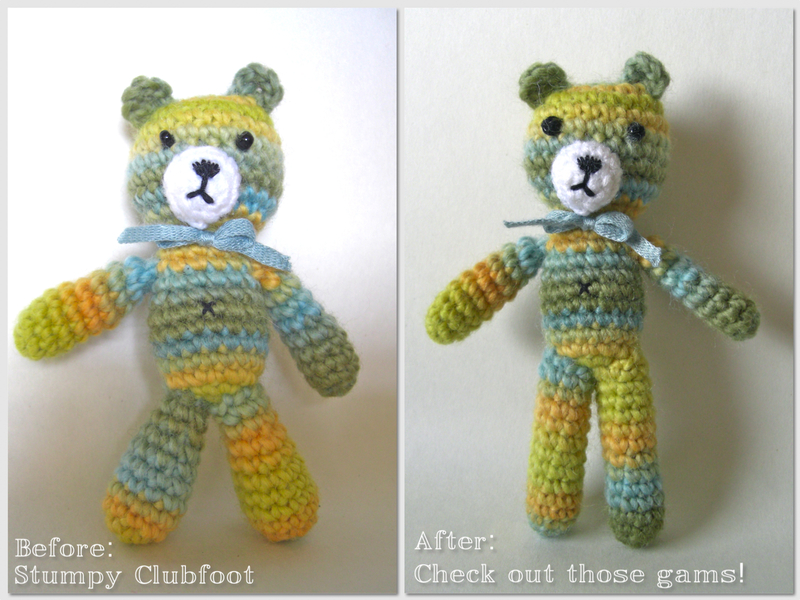 First up, we have the Pop Merino teddy who had some serious proportion/club-foot issues. Well, I operated and I think he came out on top. I also tweaked his eyes a touch. As it turns out, I was watching season two of True Blood (I’m not a totes massive fan or anything – it’s a little rudey-nudey for me – but I did enjoy it) and a deer popped onto the screen and *bing! * went the little light bulb above my head. He didn’t come out a dyed-in-the-wool deer – he’s too round and chubby – but rather had a deer-ishness about him, so he’s kind of his own little critter, which makes me kinda happy. So, I’ll package up Mr. Deer-ish and his newly-leggy buddy so they’re ready for my Etsy store. O Hai! Antlers? I Got 'Em. I’m also pretty excited about my little treat to myself. My yarn store I work in has a loyalty program that sends you a gift voucher after you accrue a certain amount of points, and I got mine the other day and it was pretty much burning a hole in my pocket. 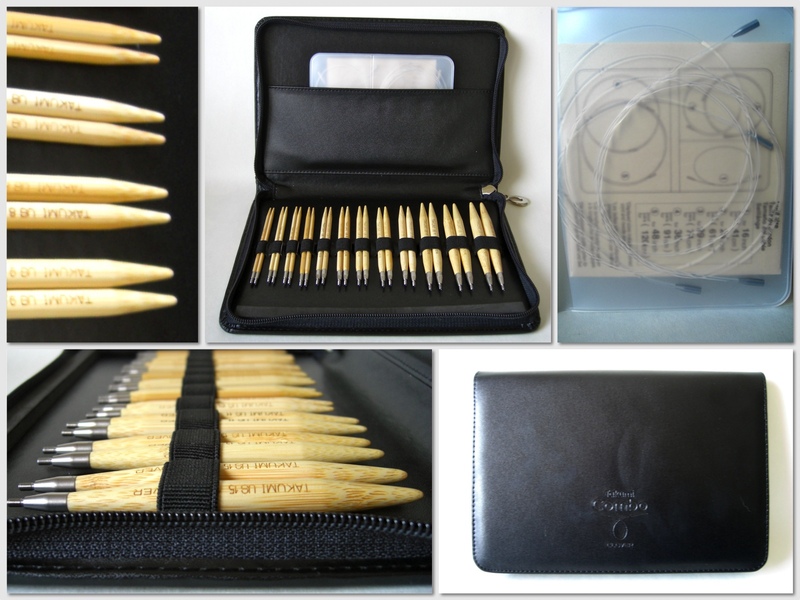 So, I bought myself the Clover Takumi interchangeable needle set. Behold! And Drool With Crafty Covetousness! The store had gotten these sets in months ago, and being the Clover fanboy that I am, I immediately fell in love and have been coveting them ever since. With my voucher and my staff discount, I couldn’t resist any longer, and I’ll tell you what, I carried that box home in my arms like a baby. Yup, I’m that sad. I could tell you all of the things that I love about them, but I think I’ll save it for a proper review to post another time after I’ve played with them for a while. Sweet Deer is awesome! LOVE the antlers! You’re awesome! Yay!! You’ll be nearby to us, we’re in Northcote. Thornbury is nice too. I recommend the 112 tram. Although I thoroughly approve of the many Brunswicks (West, East and regular) having lived just off Albion St for years, you really need to know that ALL the cool people are moving to Bacchus Marsh. Ask Marelle. She’ll tell you. If I had a car I’d consider Bacchus Marsh. I totes wanna be in the Cool Crew! I suggest plenty of tea-breaks & would advise packing heavy objects into boxes that aren’t in the middle of your kitchen 🙂 i learned the hard way! Thank you for brightening my day with your creations! Thanks for dropping by and saying hello! ^_^ Ah, you feel my pain! I’ll definitely have a read of your tips. Hi 🙂 Looking through your tag archives, it doesn’t seem as though you ever did the full review of the Takumi set that you mentioned in this entry. 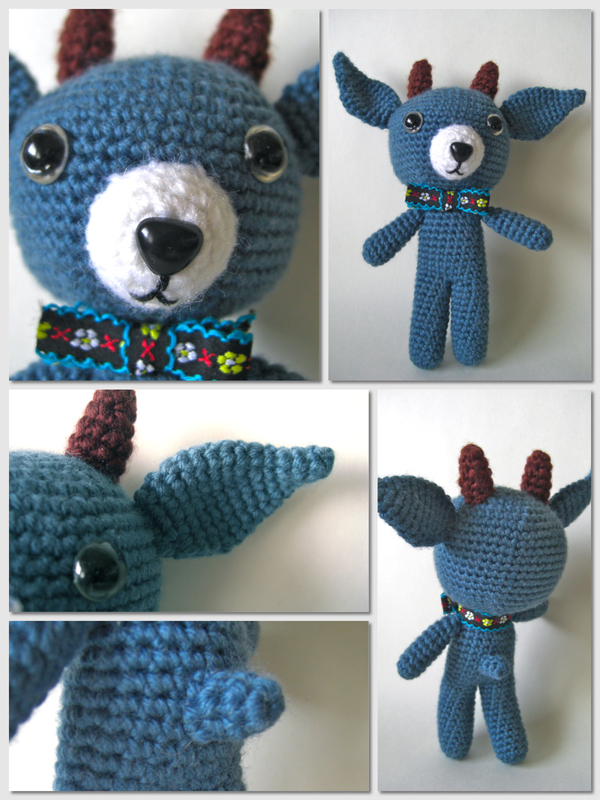 I’m a long time crocheter/new knitter, and am seriously considering the Takumi set, and was wondering what you thought of it after having used it for a while?